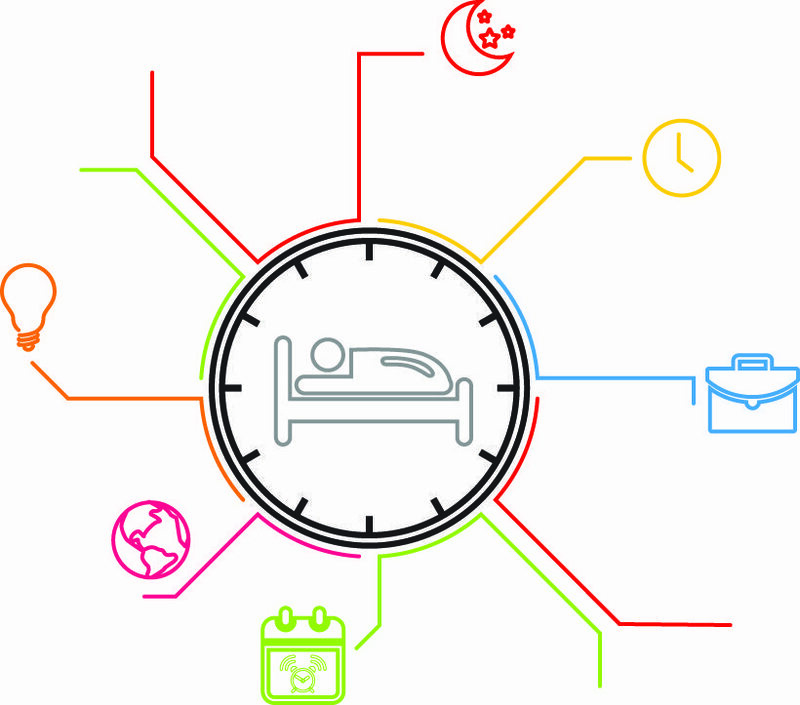 Our bodies are run by a circadian rhythm, an internal clock consisting of 24-hour cycles. 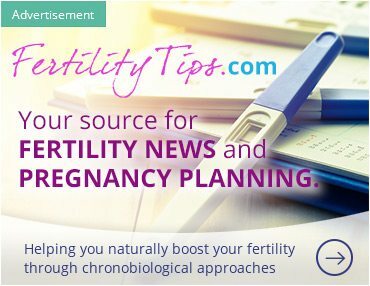 This intuitive mechanism governs a variety of processes from sleep to the body’s metabolism. It is affected by environmental elements, such as sunlight and temperature. Scientists have also been studying the effects of the moon on human physiology. Together, our circadian and lunar rhythms maintain our life. 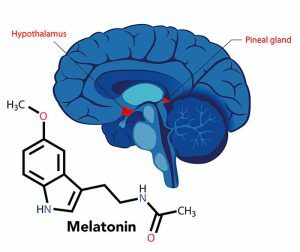 To better comprehend how our circadian rhythm works, we need to understand melatonin. Within the brain is a small organ, known as the pineal gland. Although the tiny size of a grain of rice, it has a mammoth job of producing melatonin. This is the hormone that helps you fall asleep and when its levels decrease in the bloodstream, your body begins to wake. The level of melatonin peaks at night, making you feel drowsy. In this way, melatonin is the mastermind behind sleep. Darkness is the cue that triggers the pineal gland to produce melatonin. Light inhibits its production. The hypothalamus is another part of the brain that produces hormones. It is located in the posterior portion of the middle of the brain and contains a cluster of specialized nerve cells. These cells act like a time clock, which is powered by light. When light enters the eye, it essentially punches this time clock. In response, the hypothalamic cells send a message to the pineal gland, telling it to taper melatonin production. When daylight fades, a message is relayed to increase melatonin. This process establishes the wake/sleep cycle that creates the circadian rhythm. Our body’s internal clock can be thrown off course by conditions affected by daylight. By identifying these triggers, we can reset our clock and stay on a schedule that promotes our health. Electronic Light: Darkness is our body’s cue that bedtime is approaching. Artificial light tricks the brain into thinking it’s time to remain awake rather than slow down. 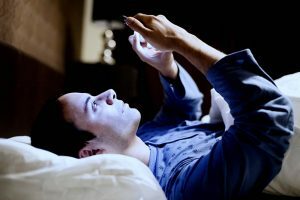 Therefore, the light from a lamp, television, computer or cell phone can give us a second wind when we should be preparing for sleep. Weekend Wavering: Wavering from a regular wake and sleep routine on the weekend can confuse our body’s internal clock. If we stay up later than usual followed by sleeping in, it can make us irritable and groggy on Monday morning. Shift Work: If your job requires you to work when you’d normally be sleeping, your body can protest, making it difficult for you to adjust to the change. 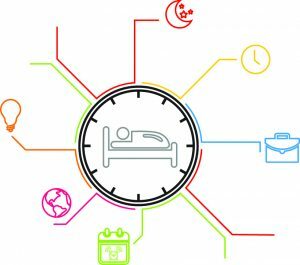 Traveling Across Time Zones: Trying to adjust to a different time zone causes a host of symptoms known as “jet lag.” These include waking up early, daytime fatigue, headaches, nausea, difficulty concentrating, muscle aches, sweating, upset stomach and insomnia. The Lunar Cycle: The term “lunar cycle” refers to the moon’s orbit around the earth. As the moon revolves, its appearance or “phase” changes. There are eight lunar phases. The phase that primarily affects us is the full moon phase when we can see the entire moon. Research shows that we tend to not sleep as well on nights near a full moon. It takes us a little longer to fall asleep and we sleep 20 minutes less. This is because melatonin levels drop around the time of the full moon, in response to the light it reflects. Daylight Saving Time: “Springing forward” in March can disrupt our body’s internal clock, causing us to lose an hour of sleep and be drowsy during the day until we have adjusted. Fortunately, we can do damage control when our circadian rhythm is disrupted. Here are some suggestions, referring back to the above triggers. Turn Off Technology: Minimize your exposure to artificial light. You can do this by removing laptops, tablets, TVs and cell phones from your bedroom. 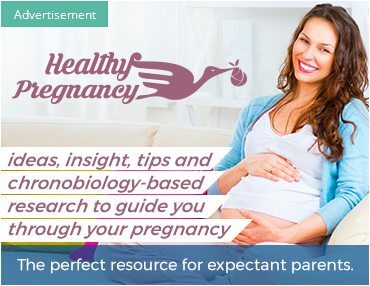 Also, avoid using them an hour before sleep. 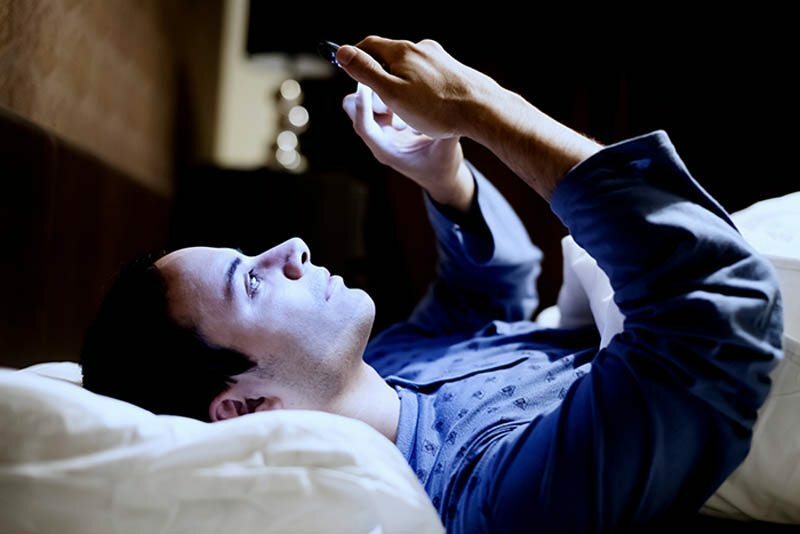 The blue light of electronic screens is especially suspect for sleep deprivation. 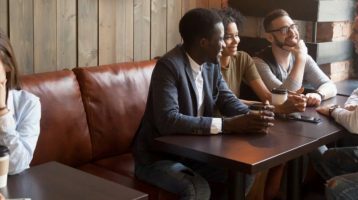 Avoid Being a Weekend Warrior: Although this term typically refers to over-engaging in weekend activity, it applies here as well. Your faculties may be at war with you on Monday if you stay up late and sleep in on the weekends. Try to maintain the same sleep/wake schedule on days off as you do on work days. If you find this difficult, try to get a hefty dose of natural light in the mornings. When you finish your night shift, wear sunglasses from the time you leave work until you get home. 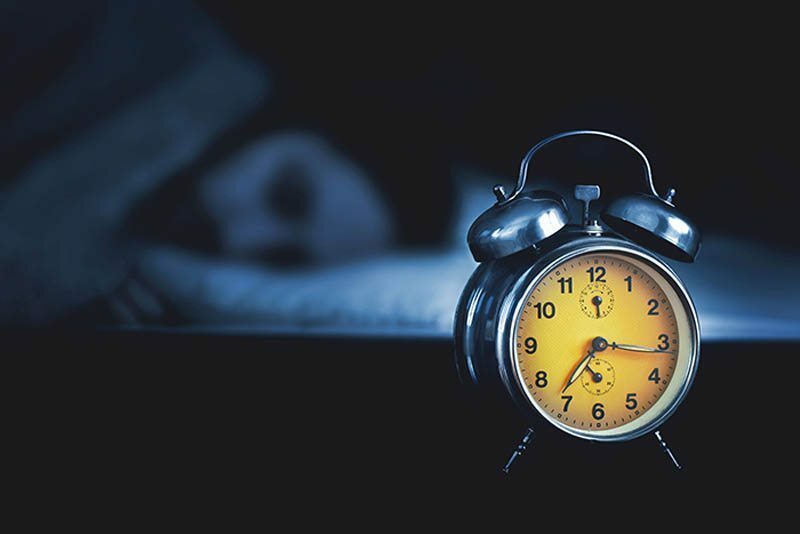 It may seem bizarre, but it will decrease the light that ultimately disrupts sleep. Consider taking melatonin. Speak with your doctor first to ensure it won’t interfere with any other medications. Put on an eye mask before you hit the sack. Maintain the same schedule on days off as during work days. Pack an eye mask and ear plugs for sleeping on the plane. Consider buying EarPlanes Pressure Regulating Earplugs. They’ll serve the dual purpose of reducing noise and relieving discomfort caused by changes in air pressure. 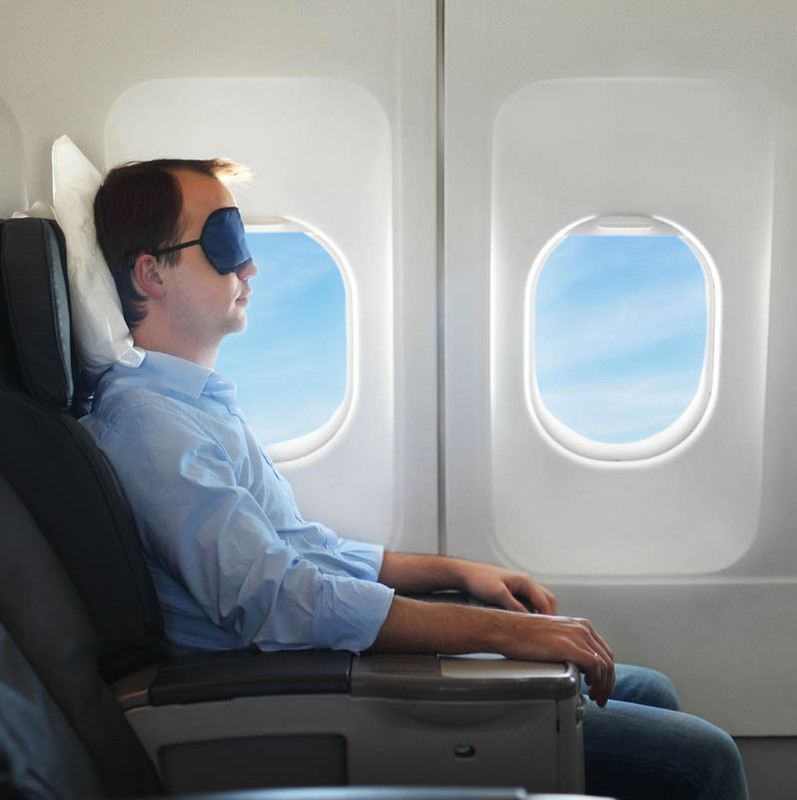 Reserve a window seat to promote sleep. This way you can control the window shade. You’ll also avoid being awakened by people needing to use the restroom. To help you choose a seat, go to SeatGuru.com, which provides seating charts for flights. Reserve your seat when you book your flight. If you book online and seat selection isn’t available, call the airline to reserve your seat. Then, confirm your seat two days before your flight. Sleep on the plane. To facilitate sleep, take off your shoes and place a small pillow behind your neck. An inflatable neck pillow is a good travel companion. Off-Set the Full Moon Effect: The bright light of a full moon affects melatonin production. More light means less melatonin. This is why people tend to have difficulty sleeping around the time of the full moon. Taking a melatonin supplement in conjunction with the full moon can help you sleep better. Try to get as much light exposure as possible during the day. Also, avoid exposure to bright light when it’s dark outside. For example, if you get up at night to use the bathroom, install a night light rather than turning on a light switch. Prepare for sleep in advance. Eliminate the use of caffeine and alcohol. Engage in relaxing rituals prior to bed. Get your quota of bright morning light. When you wake up, open curtains and turn on house lights. Tone down the lights at night. This includes bright overhead lights and the electronic lights of technology. Stay on a regular routine for eating and exercise. 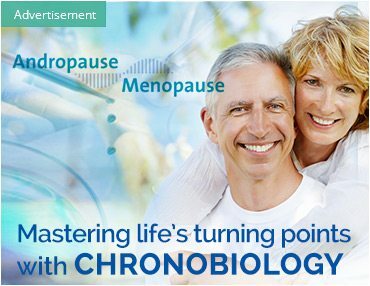 Chronobiology is the study of the relationship between biological rhythms and environmental cues. Currently under study are the use of light therapy and melatonin to reset the circadian rhythm. The book Chronotherapy: Resetting Your Inner Clock To Boost Mood, Alertness, and Quality Sleep discusses light therapy. This involves using a “light box” that gives off 10,000 lux, or units of light. This is the same degree of light you’d get if you were on the beach 40 minutes after sunrise. It’s suggested that the average person will benefit from sitting in front of a light box for 30 minutes upon awakening. The book also recommends that people dim lights toward the end of day, and avoid computer and television time before bed. To avoid jet lag, the book advises to avail yourself of bright light for at least 30 minutes upon awakening in your new location. Light therapy is also recommended for Seasonal Affective Disorder (SAD) by the Mayo Clinic, a non-profit authority on health care. SAD is a type of depression associated with the shorter, dimmer days of fall and winter. Researchers report that light boxes cause a chemical change in the brain, improving mood. The key to re-setting our circadian clock is to live in the light!